Heart of the Story: Silas (Silvanus), an early leader in the Jerusalem church, accompanied was Paul on a missionary journey and likely was the scribe for Peter’s first letter. 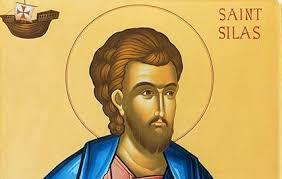 Back Story: Silas was a prophet, a leader in the first century Jerusalem church, a Jew and a Roman citizen. Representative of Jerusalem Apostolic Council: Silas was first mentioned in Acts chapter 15. He was described as one of the chief men among the Apostolic Council in Jerusalem. The Council trusted him and sent him to Antioch to encourage and strengthen the Antioch church’s faith. He was tasked with reporting the Apostolic Council decision that the Antioch Christians need not be circumcised or assume Jewish practices such as feast days and food practices. Silas and Paul: When Paul went on his second missionary journey and Paul and Barnabas parted ways, Silas went with Paul. Both men were Jews and Roman citizens; consequently, both had standing among Roman citizens and Jews. In Philippi, Paul commanded an evil spirit to come out of a young girl who was harassing the missionaries. The girl’s owners dragged Paul and Silas into the market place to face city authorities and accused them of starting an uproar. City magistrates had both men severely beaten with rods and put into imprisoned. 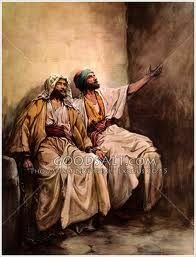 During the night in prison, Paul and Silas sung hymns. About midnight an earthquake occurred, prison doors popped open, and prisoner’s chains fell off. Silas and Paul made no effort to escape. The following morning the city magistrates ordered that the two of them be freed. Paul refused to leave quietly. His rationale was that the Philippian magistrates beat and imprisoned two Roman citizens without a trial; now they want the two missionaries to leave quietly. Paul insisted that the city officials come to the prison and apologize. When the magistrates heard that Silas and Paul were Roman citizens, they were alarmed. They went to the prison and appeased the missionaries. Silas and Paul left Philippi and continued their journey. When Paul wrote his second letter to the Corinthians and both the first and second letters to the Thessalonians from imprisonment in Rome, he greeted the churches in the name of himself, Silas and Timothy. Apparently, Silas remained with Paul a goodly while. Silas and Peter: Silas not only assisted Paul, it is likely that he wrote down Peter’s first epistle. Thus, Silas was a valuable companion and helper to both Paul and Peter. Peter described Silas a faithful brother. Reflection: Are you content with a helping role or do you have to be the primary actor? This entry was posted in Friends, Prophets and tagged Carolyn Roth Ministry, Lesser Known Bible Characters, New Testament Church, Obscure, Paul. Peter Bible Charaacters, Silas. Bookmark the permalink.